Large chunks of tender beef in a rich, delicious sauce – how can you go wrong? This was very tasty and there was plenty to share. 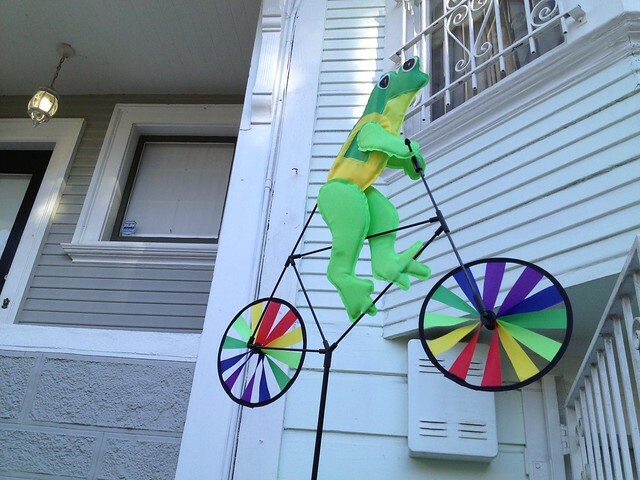 Frog on bicycle wind/yard decoration, Cole Valley. 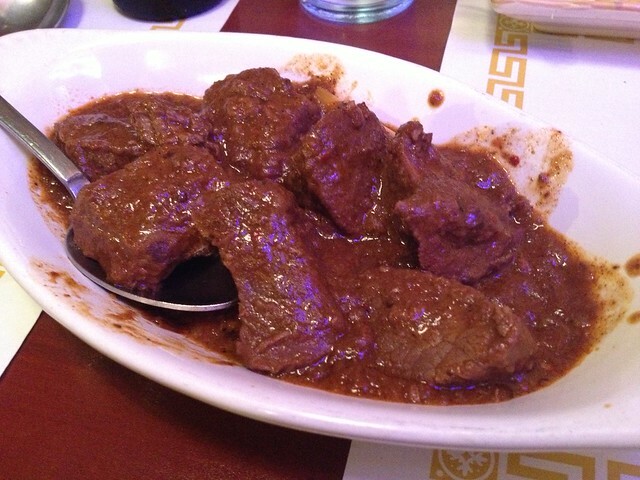 This entry was posted in Burmese Kitchen, Restaurant and tagged beef, Burmese, masala, onion by vicentesf. Bookmark the permalink. I think I’ve only had this with chicken! Awesome that you found it with beef. Yum! Looks fantastic and delicious!